Samsung is going on and on... The list of its Android Smartphones seems endless..
After several rumors up in the air, Samsung officially unveiled the GALAXY PREMIER I9260. The smartphone is almost the Galaxy Nexus, but the difference is just that it comes with slightly updated hardware and runs Samsung's proprietary TouchWiz interface on top of Android 4.1. 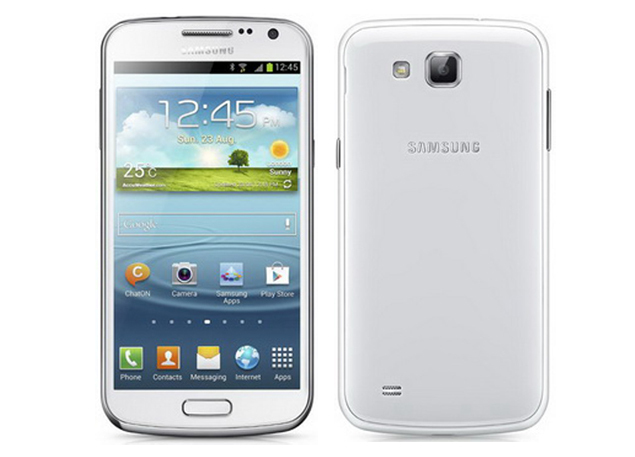 The smartphone sports a 4.65-inch HD Super AMOLED display with a resolution of 1280×720 pixels. It is equipped with a 1.5GHz dual-core TI OMAP 4470 processor bundled up with 1GB RAM. The device will be available in 8GB/ 16 GB storage options with microSD support of up to 64GB. It is powered by a 2100 mAh battery. It has a 8 MP Autofocus Rear Camera and a 1.9 MP Front Facing Camera. The smartphone boasts NFC capabilities amongst other connectivity options like Wi-fi, Bluetooth 4.0 and A-GPS. The smartphone will roll out first to Ukraine in December 2012, for a price of around 5555UAH (around $680). More details on the global pricing and availability of the device are still unknown. "The company Samsung Electronics, a global leader in media and digital convergence technologies, has a new GALAXY Premier - a smartphone that provides users with premium features exclusive family of innovative devices GALAXY, at a reasonable price," stated Samsung Ukraine's Web site (translated). 0 Respones to "SAMSUNG GALAXY PREMIER OFFICIALLY UNVEILED"